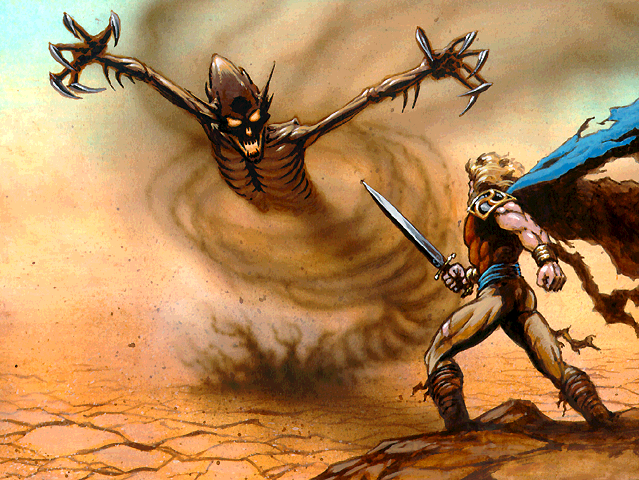 Harvar goes to fight Daga in the place of the gods. Daga has no substance to strike, nor force to scatter. -Keep fighting; do not stop until Daga is slain. -Let Daga win; but fight defensively to minimize injury. -Take a few blows from Daga, then flee. -Take whatever punishment Daga dishes out.